Churches that are involved in Unidos en Cristo come from many Christian denominations. Unity is achieved by focusing the entire weekend on the teachings and passion of Jesus Christ. UEC does not attempt to change anyone's chosen theology, but holds to the major tenets of the Christian faith. 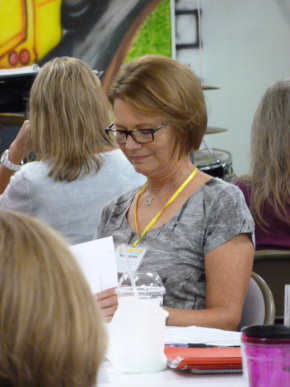 The focus at a UEC weekend is not on the organization of UEC, but on the teachings of Christ and applying those teachings to involvement in the local church. "To revive and strengthen Christian commitment and community in the local church." "Unidos en Cristo is an inter-denominational and lay led community whose purpose is to help persons deepen a personal living faith in Jesus Christ as their Lord and Savior. The UEC community emphasizes the essentials of our Christian faith, which include the triune nature of God, the absolute authority of the Word of God, the forgiveness of sins through the blood of Jesus, and our common adoption into the body of Christ. UEC equips Christian servants for action through a practical and personal demonstration of God's grace and by encouraging the extension of this grace to the local church and community. We believe a living faith in Jesus Christ and Christian action will change our world." The Mission and Faith Statements were adopted by the UEC Council on May 22, 2007.